I am exhausted today...my weekend was non-stop and I loved everything about it! After the 5K, we naturally hit up the bar for some Bloody Mary's & Mimosa's! Later that evening, Steve, the Fam and I headed into the City for my Cousins Wedding! The Wedding was both of their second marriages, so they decided to have a low-key Wedding and the Bride even wore a Green dress in honor of St. Patty's Day! Im obsessed with this little babe!...please note her cute little Shamrock Socks! 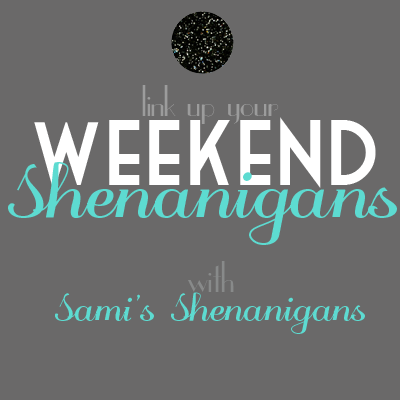 Link up with Sami and tell us about your Weekend! Wow a green dress! That is crazy! Sounds like a fun weekend! 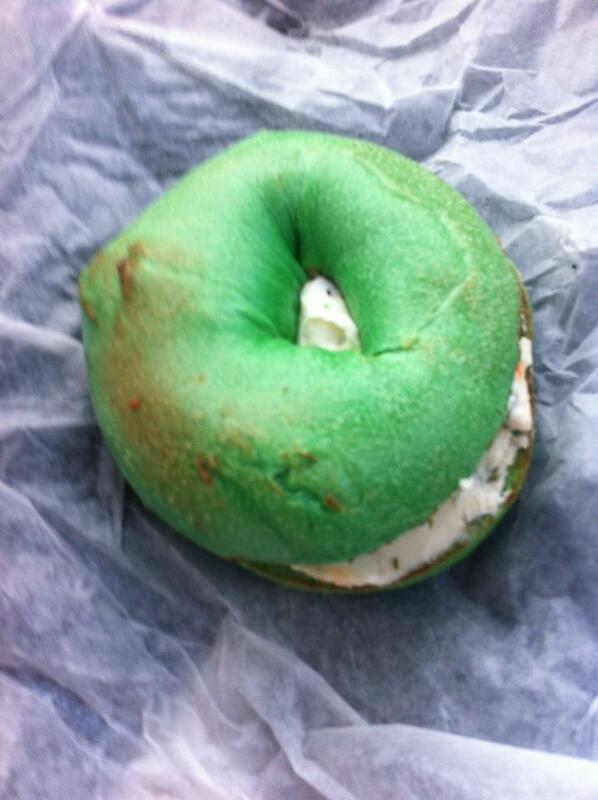 Green bagels are the best! Looks like such a fun weekend!